Come and celebrate your special occasion with us, whether it is a birthday party, hen party, baby shower or just a general get together. Remember it is not just for children! We can accommodate up to 12 children. NOTE: We require a minimum of 6 children per party. Package 1: £10 per child. 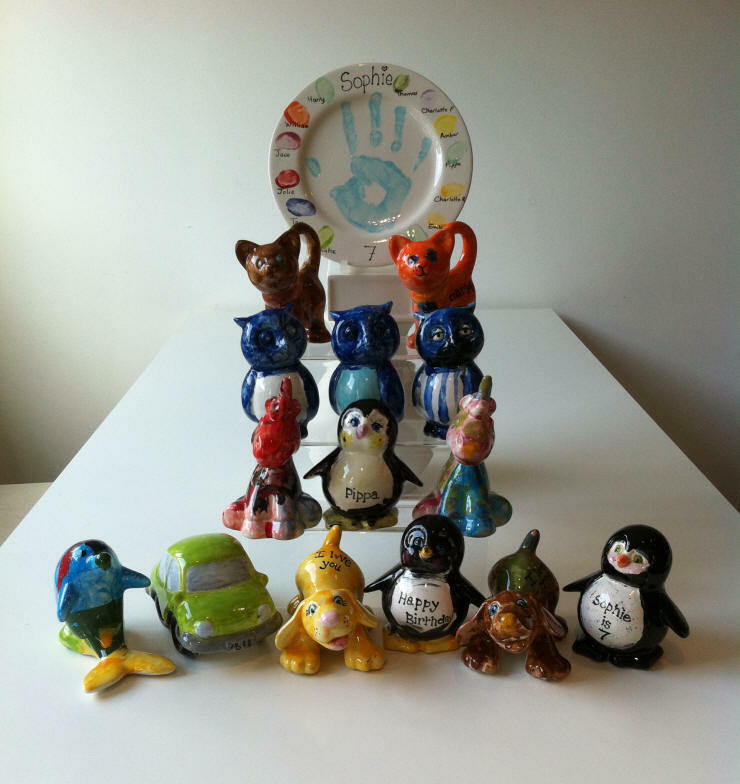 Each child chooses from a bowl or a mug to paint. Package 2: £12 per child. dog, crocodiles, unicorns and elephants. Package 3: £15 per child. Each child chooses from a range of door plaques, money boxes and trinket boxes. 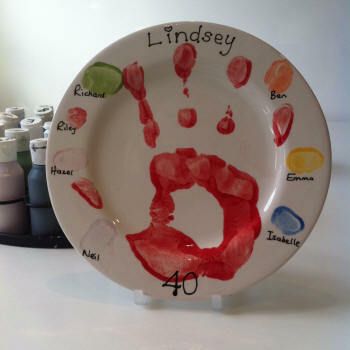 With all the parties we provide cookies, juice, a sweetie bag and a keepsake handprint plate for the person hosting the party. The parties last for 1.5 hours and a member of staff is always present at the party. A £30 non-refundable deposit will reserve the date and time slot. Please state if you are bringing food or ordering a pizza etc so we can ensure you have a spare table. If you would like to host an adult party, you are more than welcome to bring wine and nibbles and make an evening of it! Children must be 8 years or above. The cost is £15 per person and each person will make 3 slimes to take home. The price also includes a glass of juice, a cookie and a sweetie bag. The slime parties last 1.5 hours. 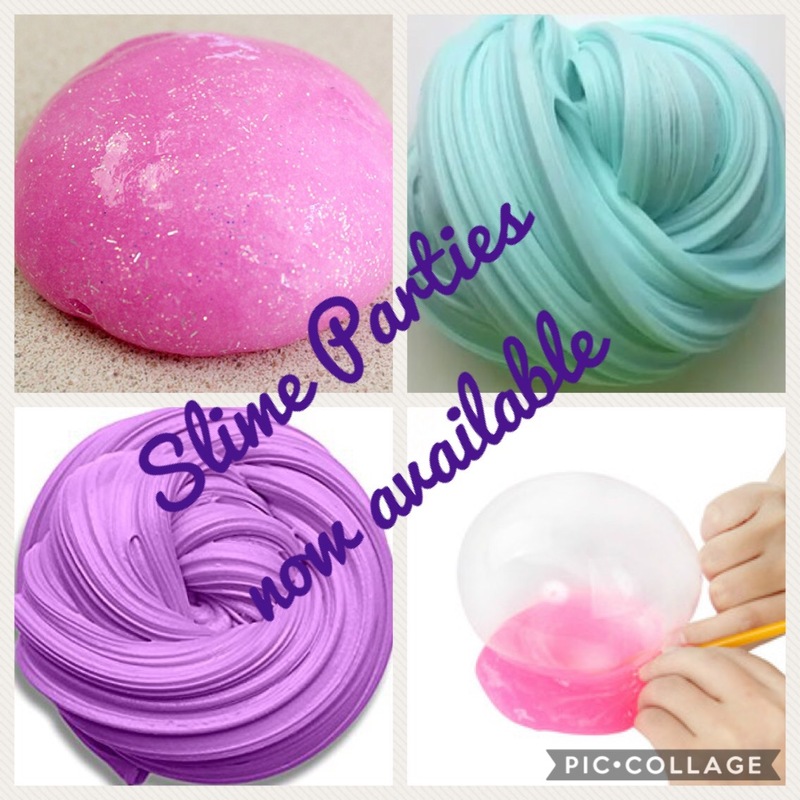 Slime making takes up the full 1.5 hours allocated for the party so you are not able to bring party food however if you would like to bring food you are able use the room for a further 30 minutes at a cost of £20. This option is only available at week day parties or the 3.30pm slot on a Saturday.